Planning your summer vacation? TourBar users have chosen 5 of the world's most beautiful beaches for you. Find the perfect place for your sunny beach holiday and travel together! 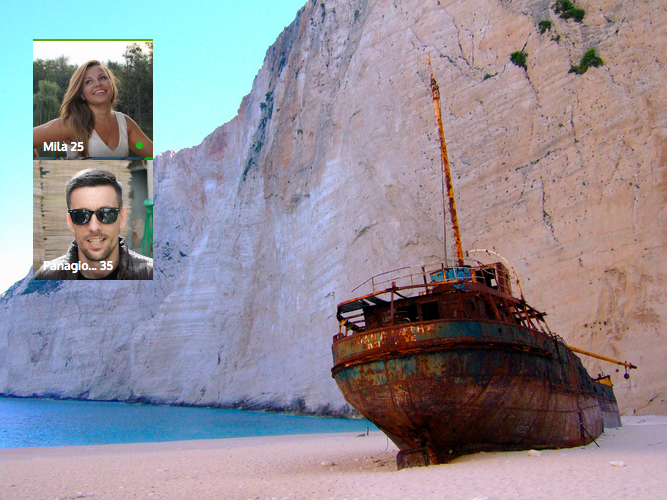 Navagio Beach is one of the most spectacular places in the world. It is located on the Zakynthos Island in Greece. Navagio Beach is well known for its beautiful limestone cliffs, white sandy beaches, and clear blue water. It is a place, with not only a lot to see, but also a lot to do. You can choose an activity depending on your wishes, including hiking, scuba diving, swimming and snorkeling. We should not forget to mention, that there is a large stranded boat on the beach, which was supposedly once a smuggler's ship. The remains of the ship can be seen in the middle of the large white sandy beach. If you still haven’t had the chance to visit the Island and its interesting places, then maybe you should spend your next vacation there. Ribadesella is a small district in the Autonomous Community of the Principality of Asturias in Spain. This town is famous for its prehistoric Tito Bustillo caves. Ribadesella offers its visitors history, sport activities, beautiful scenery, nature, and perfect food. Ribadesella beach is one of Spain’s most beautiful beaches, which remains untamed and unspoilt in spite of the fact that a lot of tourists visit this beach every year. Ribadesella entices surfers and sunbathers, who have the opportunity to kayak on the river Sella, and take outdoor excursions into the spectacular Picos de Europa mountain. Balos beach and Lagoon is located on the northwestern corner of Crete. Balos Beach and Lagoon is a very special beach. There is both white and pink sand, which is home for the many, many seashells. The sand is pink, as the old seashells have been transformed by the sea waves. The water is shallow, limpid and warm. As Balos is a lagoon, swimming there is perfect, much like a swimming pool, sheltered from any wind. We could write much about Balos Beach, but really, you will need to see it, to believe it. Stintino is a small Island that lies in the Northwestern part of Italy, and it is here that you will find Sardinia’s most famous beach — La Pelosa. Truly, a paradise. The waters are turquoise, and the sand is a beautiful white. Sand so soft under your feet, you will feel you are walking in the clouds. If relaxing isn’t your idea of a perfect holiday, then there are plenty of activities you can undertake during your vacation. They include — kayaking, snorkeling, boat excursions to Asinara Islands, pedal boating, hiking, and much much more. They say, you cannot go to La Pelosa and just relax at the beach. You must see the Stintino's icon. Which is a 6-meter La Pelosa Tower. Will be able to climb it, and admire the waves. The tower itself is a stone building with a mushroom-shaped cellar. If you are seeking to relax, whilst embracing some atmosphere, then La Pelosa is must see place for you. Praia da Falesiahas a 8-kilometre-long beach, that is located between Vilamoura and Albufeira in Portugal. The golden sands and transparent waters of the beach, invite tourists to relax and to take part in many activities.The beach is perfect for soaking up the sun, or if relaxing isn’t for you, maybe a long walk or bike ride along the Olhos de Agua, Açoteias villages, and pine forests. You will also be able to visit Arab architectural remains, and embrace its interesting history. P.S. Happy planning and don’t forget the sun cream.